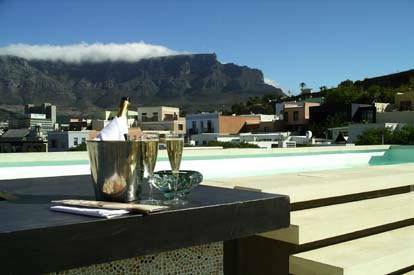 Soho Rooftop Pool Bar, Soho Thai Restaurant, The Village Lodge, 49 Napier Street, De Waterkant, Cape Town, South Africa. +27 21 421 6613. Unrivalled views of the Mother City. Open from 7.30am-10.30pm. Roma Revolving Restaurant, 32nd floor, John Ross House, Victoria Embankment, Ethekwini 4001. +27 31 368 2275. Revolves slowly and offers breathtaking views over the harbour and Durban central. Mon to Sat 12 noon-2.30pm. 6pm-10.30pm. Italian. Randlords, 22nd floor, 41 De Quarter Street, South Point Towers, Braamfontein, Johannesburg. 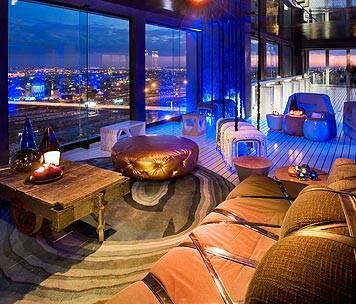 +27 11 489 1930 Panoramic new rooftop bar with 360 degree views of the city. Only open for corporate and private functions.